The night of April 4, 1988, will forever live in the hearts of fans of Jayhawks basketball. On that night, the Jayhawks and their fans raucously celebrated the team’s first national title since 1952. This game for the ages is one of 22 contests joyously recalled in this reissue of Steve Buckner’s Game of My Life Kansas Jayhawks. 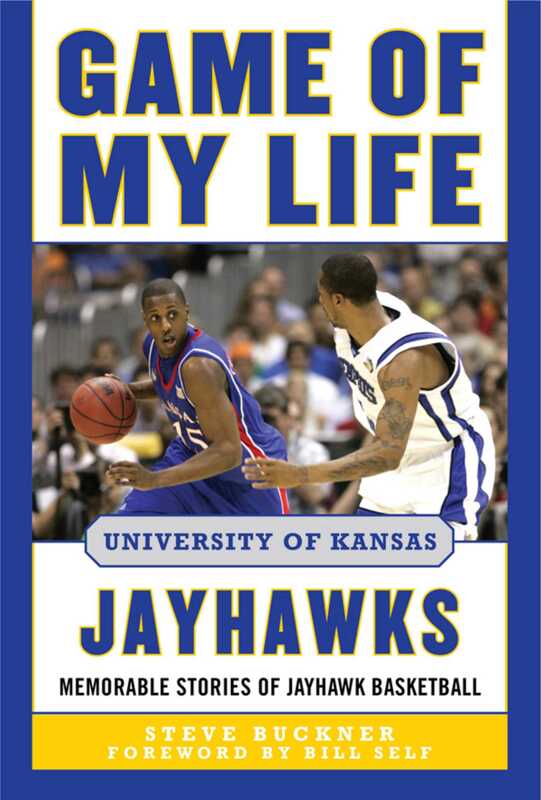 For fans of the Kansas Jayhawks, Game of My Life Kansas Jayhawks is a fabulous stroll down memory lane in which several Jayhawks basketball legends detail the events that culminated in the game of their lives. Players from the 1988 NCAA Championship squad share their insights into the collective game of their lives, and Chris Piper details the defeat of rival Oklahoma in the national championship game. Former players featured include Mark Turgeon, Drew Gooden, Steve Woodberry, Nick Collison, Rex Walters, Mario Chalmers, and many more legends.